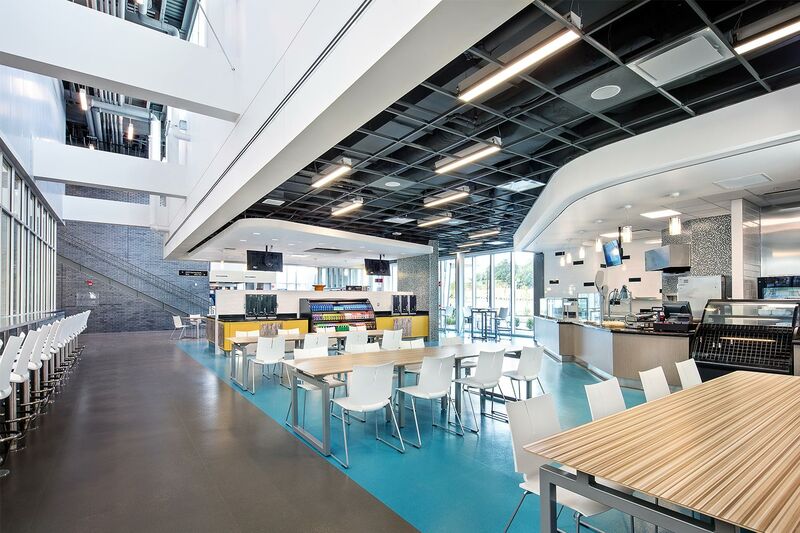 This 185,000 sf sports performance center is a first of its kind. 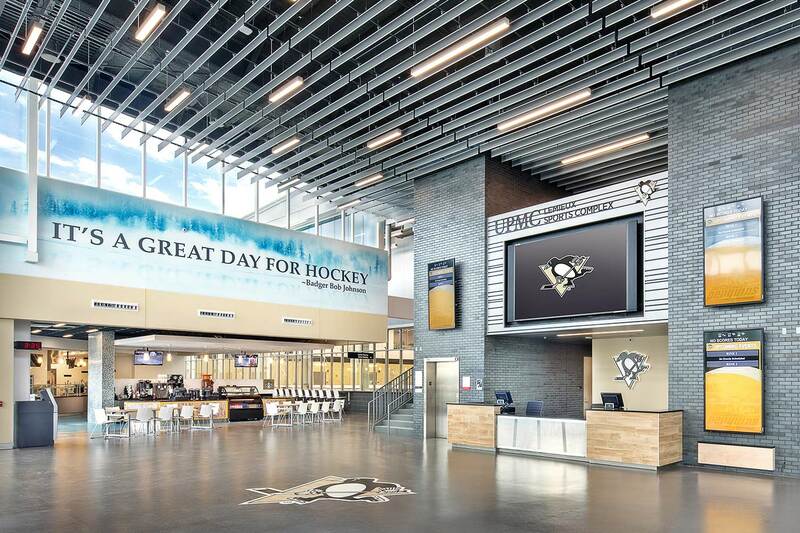 The center serves Western PA athletes as well as a Pittsburgh professional hockey team, providing hockey-related training and practice, injury treatment and prevention, and sports medicine. 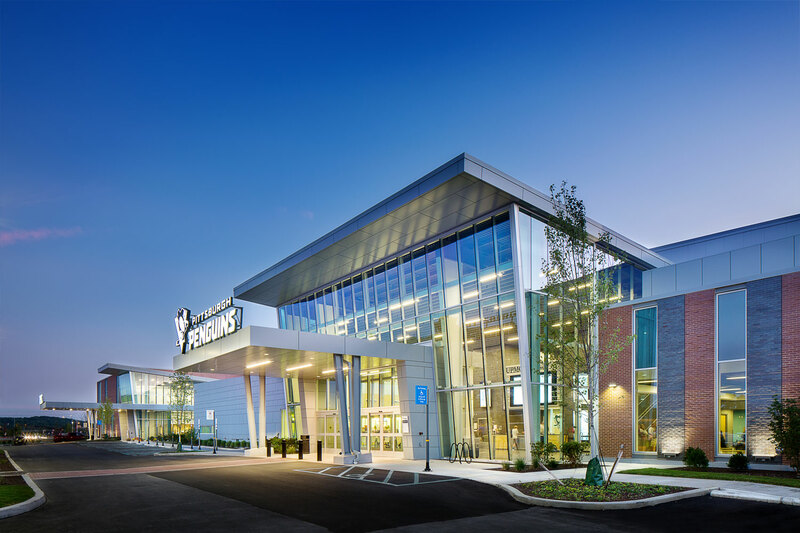 UPMC uses the 54,000 sf Sports Medicine space to pioneer programs in diagnosing and treating concussions, physical therapy, imaging and diagnostics. 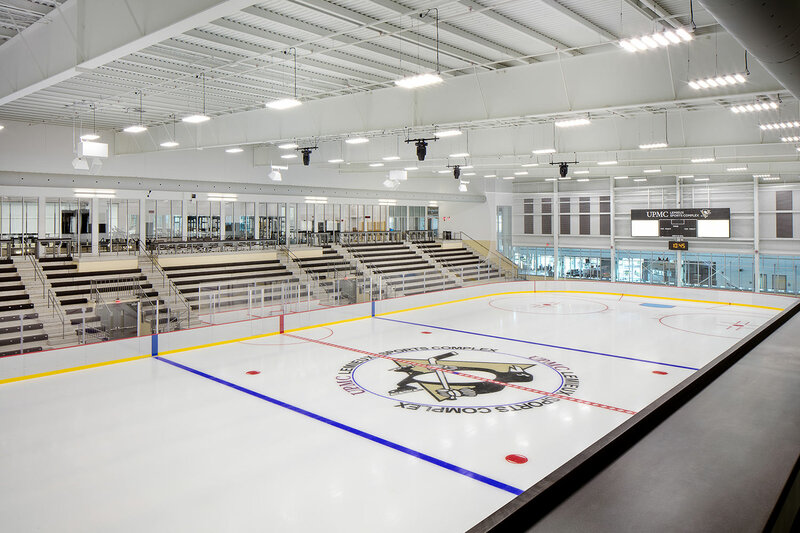 Other features of the facility include two full-size hockey rinks (1,500 seats), on-site café and retail store, physical therapy gym, open skate, 1,500 sf hockey skills training area, and private event spaces.